How cute! 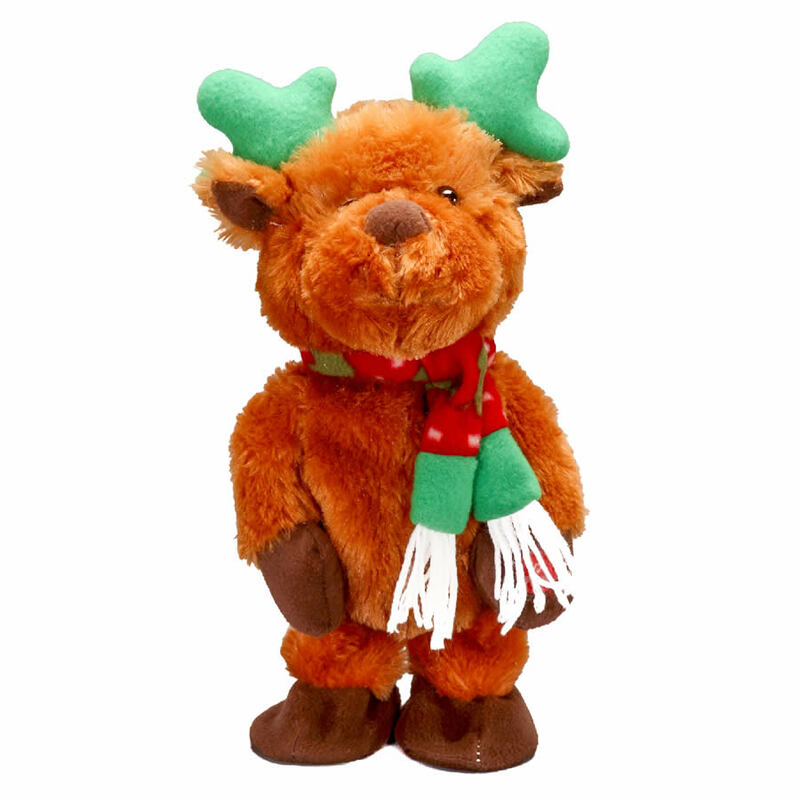 This adorable plush deer just keeps shuffling along, as he waits for the holidays to arrive! This 30cm tall Shuffling reindeer is a sweet and darling gift to share with someone this Christmas. He is so soft and huggable, wearing a festive holiday scarf and accented in traditional holiday colours. Check out his little green antlers! But wait- press the indicated spot on his tiny paw and watch him as he shuffles across the floor. Adorable! This deer will delight and steal the show at your holiday party or family gathering this year. Give him to a friend or neighbour to show them that they are never too old to enjoy the simple, true pleasures of this warm, wonderful time of year! This little character would be the perfect accent under your holiday tree to give visitors, guests, and relatives a surprise that will make them chuckle and laugh when you send him shuffling across the room!